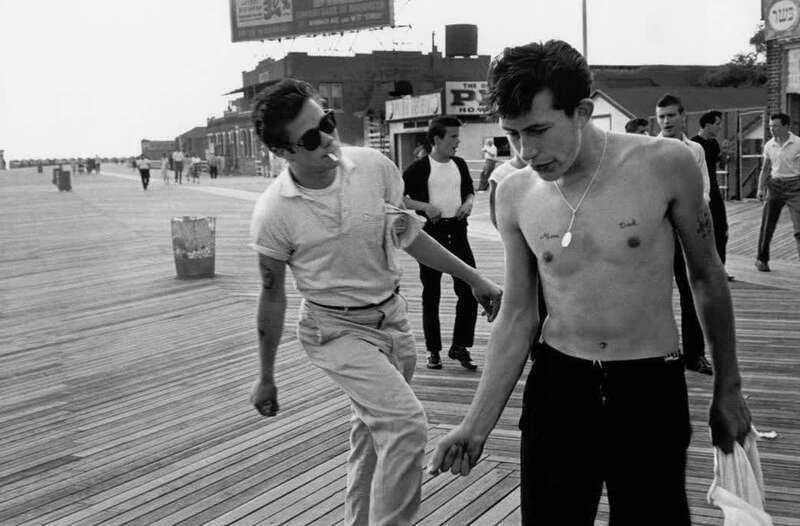 In 1959, Bruce Davidson read about the teenage gangs of New York City. 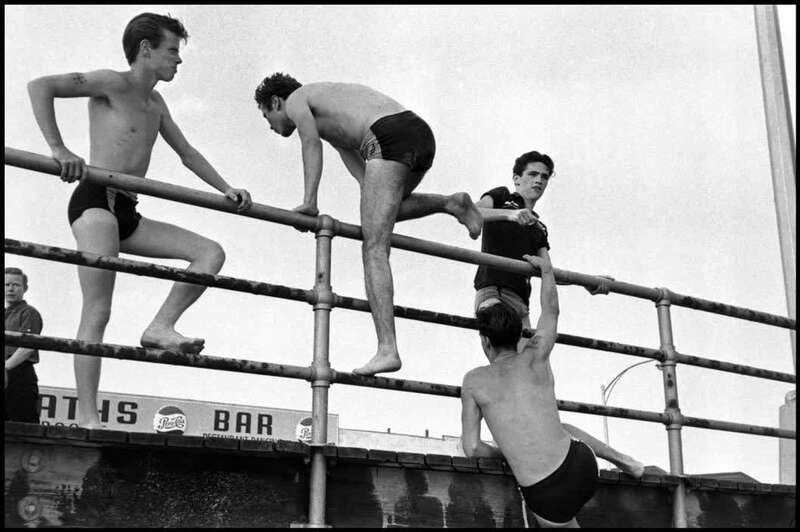 When a social worker facilitated his introduction to Brooklyn gang The Jokers, he began to document their daily lives. Davidson was just 25 when he began to photograph The Jokers, and could have easily been mistaken for one of them. 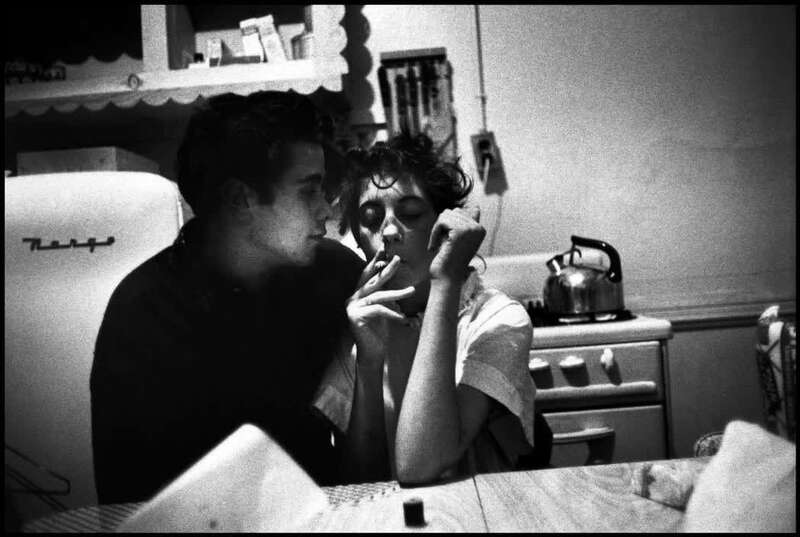 This blurring of the distinction between photographer and subjects allowed for an intimate and dynamic series; we see the gang in times of post-war rebellion and iconic cool, but Davidson also captures the haunting restlessness and tragedy that marked many of their lives. "In time they allowed me to witness their fear, depression and anger," Davidson wrote. "I soon realized that I, too, was feeling their pain. In staying close to them, I uncovered my own feelings of failure, frustration and rage."